SRI Education had something special on their hands, they just didn’t have an equally great way to present it. After 25 years of evidence-based learning research, SRI Education had built a math curriculum they called Menlo Math, and they were eager to expand its influence to classrooms across America. Menlo Math students saw impressive learning gains in their field trials, and teachers were saying the curriculum was something truly unique. The research team was on the verge of a huge success, but they didn’t know exactly what their next step was. To expand their impact, they needed to find a partner that could help them communicate their story clearly and powerfully. ProjectEd brought in a team of storytellers, designers, and industry experts to help SRI Education’s research team solidify their message. 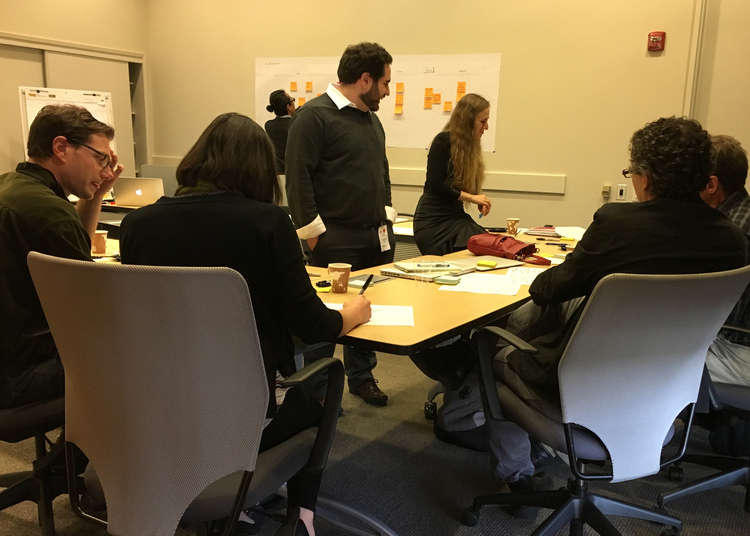 Starting with a face-to-face workshop, ProjectEd created a solution far more customized and personal than a traditional firm would, and in a fraction of the time. ProjectEd flew out to Silicon Valley to crystallize a vision for the story. In just two high-energy, hands-on sessions, the team identified which elements of SRI Education’s curriculum deserved a spotlight, analyzed the needs and biases of their audience, and developed a strategy. Working with the full research team, ProjectEd ended the sessions with buy-in and confidence. With voice and message approved, ProjectEd used the script as a lodestar, crafting a professional-quality deck that included visualization, animation, and a customized delivery approach. ProjectEd’s priority was to make this presentation as easy and natural as possible for the SRI Education presenters. Working together, the two teams refined even the smallest details, down to word choice, animation length, and the number of clicks in the demo. They capped off the process with coaching sessions, providing example videos and personalized feedback on team members’ stage presence, cadence, and style. 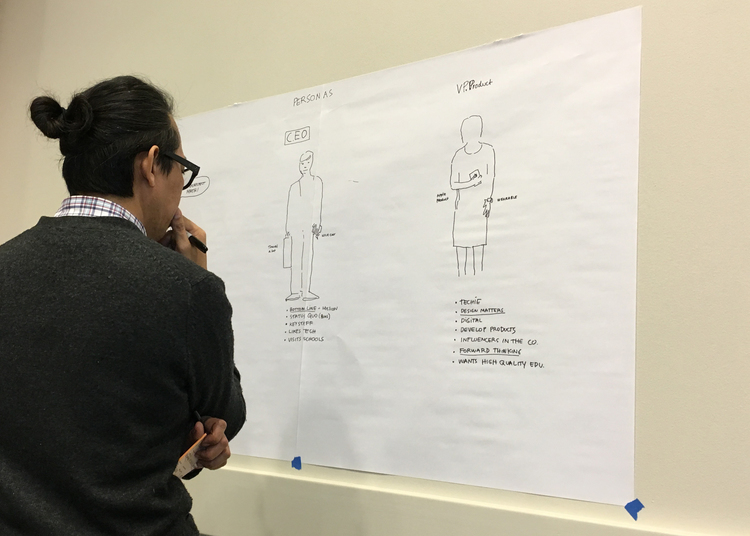 Along the way, ProjectEd did a full analysis of Menlo Math’s UX, and drew up ideas for a new look and feel, presenting mood boards and wireframes to the SRI Education team that would elevate the product to a new level. 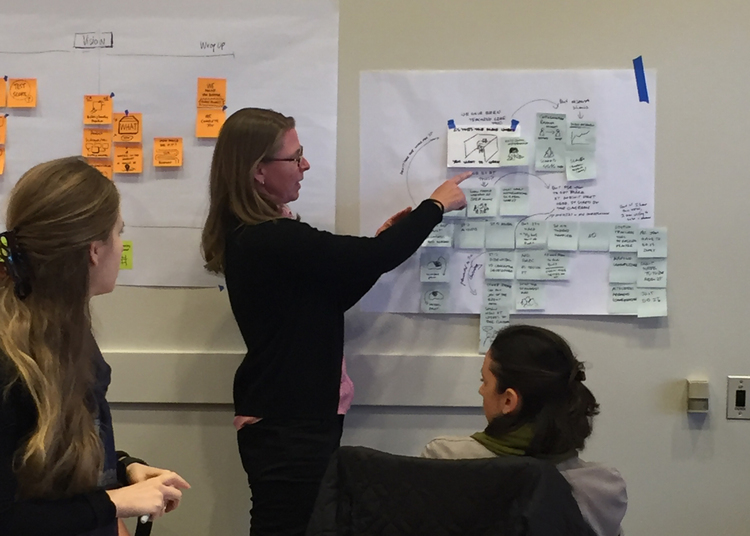 By starting with a facilitated workshop, ProjectEd could achieve buy-in, define a process, and design a new product in weeks instead of months. More importantly, with all stakeholders involved throughout, the planning was thorough and vetted, setting the stage for growth and success. SRI Education, a division of SRI International (SRI), provides research-based analysis of educational outcomes and reforms, and the impacts of technology on learning. SRI is a nonprofit, independent research center headquartered in Menlo Park, California. Its mission is to create world-changing solutions that make people safer, healthier, and more productive. It performs client-sponsored research and development for government agencies, commercial businesses, and private foundations.